Arizona Summit School of Law has appointed Professor Penny Willrich as interim dean. Penny Willrich is interim dean of the Arizona Summit School of Law. PHOENIX (Feb. 12) — Arizona Summit School of Law (Summit) has appointed Professor Penny Willrich as interim dean. Dean Willrich is a charter member of the Summit faculty, served as a Maricopa County Superior Judge, and previously served as Summit’s Dean of Academic Affairs. Dean Willrich succeeds Shirley Mays, who has been dean since 2010. 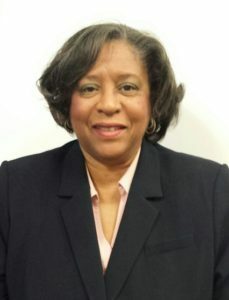 During her tenure, Dean Mays provided strong leadership in curricular reform that enhanced the school’s ability to provide students with a practice-ready curriculum. Dean Mays’ commitment to inclusiveness has been instrumental in earning Summit numerous awards for diversity and advancing it toward its goal of diversifying the legal profession in Arizona, where 8% of its lawyers are minorities, compared with a state minority population of 40%. President Donald Lively notes that “Dean Mays has provided the school with the leadership it needed during a critical stage of its life cycle, which has been characterized by a challenging market environment and the rigors of institution building.” Dean Mays will remain on the faculty and assume responsibilities for facilitating Summit’s integration into a university pursuant to a planned acquisition of Summit. Dean Willrich’s top priority as interim dean is to ensure that Summit provides an exceptional legal education for its students. The school equips students with the legal knowledge and skills they need for future success. Summit must continue training the next generation of leaders so that its students are equipped to reach their full potential. Dean Willrich assumed the interim deanship on January 1, 2017.